You'll be £10.39 closer to your next £10.00 credit when you purchase South East Northumberland at War 1939–45. What's this? Many communities in the area welcomed evacuees from urban Tyneside whilst others were themselves evacuated. Others saw the business opportunities created by the war and this book highlights this and also includes accounts of the struggle that many families faced in coping with rising wartime prices, longer working hours and endless worry. Despite the hardships the people of South-East Northumberland faced, morale was maintained and the community continued to provide incredible charitable support right up until the end of the war in addition to their normal efforts. 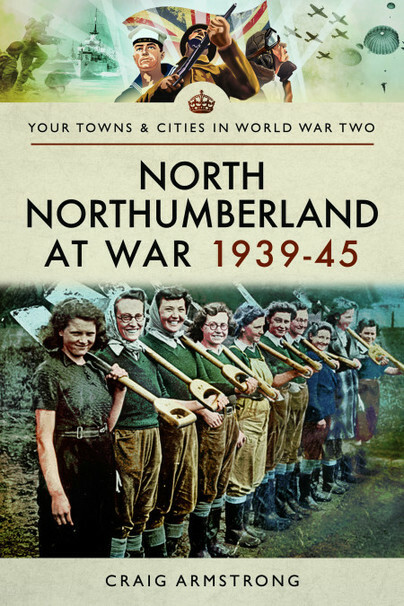 Others, unfortunately, saw the war as a chance to improve their financial prospects and the book also uncovers several scandals and subsequent trials which showed a sometimes darker side to the home front.&#8232;&#8232; South-East Northumberland at War 1939-1945 poignantly commemorates the efforts and achievements of Northumberland's south-eastern communities: farmers, fighters, families divided, all surviving astounding challenges.